Raw Honey vs Regular Honey: Whats the Difference Between the Two? Honey comes in several shapes and forms. For centuries honey has been used as a sweetener and medicine. Some people get honey directly from beekeepers, while some get it from the store. But, not all honey is created equal. Getting honey from beekeepers means that you can get information on what exactly is in that honey. When you are grocery shopping, you may not realize that you may be losing out by buying fake honey. A lot of times honey you can buy at the store is heavily processed in the process of pasteurization. The pasteurization destroys many vitamins, minerals, amino acids and enzymes in the honey which decreases honey's nutritional value. Some people also believe that the raw honey and regular honey are the same, but we will see that it is not true. Before we tackle the difference between the two, we must define what is raw honey. Raw honey is the most original sweet liquid that honeybees produce from the concentrated nectar of flowers. Real raw honey comes straight from the beehive and is a potent superfood sweetener gathered by one of the most profound creatures on planet earth, the honeybee. It is totally unheated, unpasteurized, unprocessed honey. Bee pollen is considered to be one of nature’s best and most nourishing foods. It’s packed with protein that is combined with amino acids, that can be easily used by your body. Bee pollen is used to improve unbalanced nutrition, vitality, longevity, energy. But also, it is used for weight control, health, beauty, allergies, anti-aging and more. All of these qualities are lost with the removal of bee pollen. Regular honey does not contain bee pollen. A lot of honey found in the supermarket is not raw honey but "commercial" regular honey, some of which has been pasteurized (heated at 70 degrees Celsius or more, followed by rapid cooling) for easy filtering and bottling so that it looks cleaner and smoother, more appealing on the shelf, and easier to handle and package. Pasteurization kills any yeast cell in the honey and prevents fermentation. Pasteurization and extreme processing destroy almost 100% of vitamins, minerals, antioxidants and antibiotic properties typically found in abundance in true beehive honey. Also, some of that honey is filtered so much that even pollen is not present in them anymore. The removal of these microscopic particles, pollen, would make the nectar fail quality standards by most of the world’s safety agencies. Research by the Palynology Research Laboratory at Texas A&M University tried 60 honey items from markets and supermarkets and found that 76% contained no hint of honey bee dust, which is likewise stacked with medical advantages. The Food and Drug Administration (FDA) maintains that any honey items that have been ultra-filtered, as these have, are not really honey and subsequently the medical advantages of honey can’t be expected. Such filtered honey doesn’t have almost any nutritional value as even pollen is filtered. Some “honey” may even contain high fructose corn syrup! Why companies remove bee pollen from honey? The practice of removing pollen from honey originated from China. After many people had noticed all the benefits of honey, the demand for honey in U.S. increased. To supply high demand for honey, the Chinese began to produce very low-quality honey. The production was so high that some of that honey was exported to other countries. The origin of the honey was traced to China through pollen. Bee pollen contains DNA which can be used to track the origin of honey. U.S. found out that a lot of bad quality honey, so called fake honey, is being imported. To counter that the U.S. banned all honey coming from China. Since China was left with a lot of honey that could not be sold, that honey was sent to India. In India, their honey was mixed with Indian honey with pollen. Because of mixing it was hard to detect specify the place of origin of that honey. That is how new unnatural and potentially contaminated honey was born. Later, they started using ultra-filtration. Ultra-filtration is the process of removing pollen from honey. The process leaves honey nutrition-less, but it gives it very long shelf life. Such honey is sometimes mixed with honey containing pollen. That gives an illusion of honey’s origin because its origin can only be tracked to the honey with pollen. The market is literally polluted with cheap, health damaging honey. So be careful when you make your choice. Find honey that is raw and organic. Many times, this honey that is unfiltered can only be bought right from a bee farm. This type of honey appears cloudier and has very fine textured crystals. It has tons of health benefits and does not damage your health. 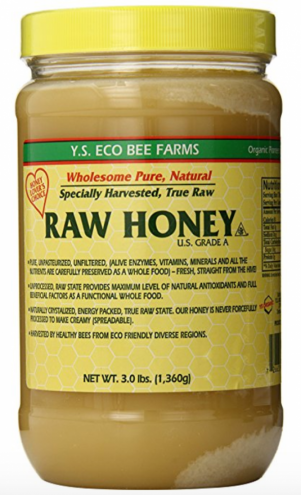 Raw Honey has all vitamins, enzymes, and nutrients intact. Pasteurized Honey contains little to No pollen. Raw Honey has Antiviral and Anti fungal properties. Pasteurized Honey may contain antibiotics. Raw Honey contains Powerful Antioxidants. Pasteurized Honey main ingredient High Fructose Corn Syrup (HFCS). Raw Honey helps ward of allergies. Pasteurized Honey HFCS has been linked to obesity, diabetes, hypertension, and liver damage. Raw Honey helps stabilize blood pressure and balance blood sugar levels. Pasteurized Honey HFCS is commonly derived from GMO corn. Raw Honey helps heal skin conditions. Pasteurized Honey leads to plaque build up and narrowing of the blood vessels. Raw Honey helps boost the Immune System. Not to mention we haven’t even begun to talk about using Raw Honey on your skin, mixing it with cinnamon, baking soda, etc. Various types and grades of raw honeys are available commercially. Some are completely unfiltered while others are filtered to provide a clear, liquid-type consistency. Honey straight from the hive is a blend of both liquid and solid sugar crystals and can range from yellow-white to dark amber or black and every color in between, depending on the floral origin. 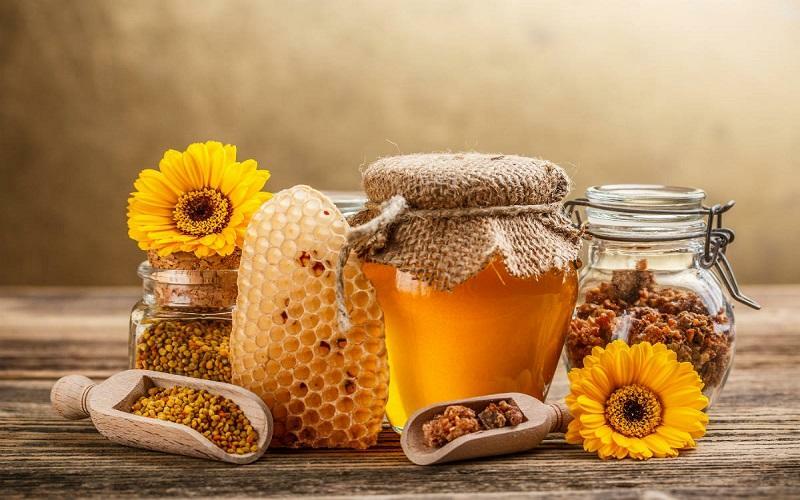 Honey can have a more crystallized texture which, when cooled, can turn a lighter cream color from the glucose crystals as well as wax, pollen and propolis content or it can be a clear viscous-type syrup, which contains a higher amount of water content. If you're curious how to recognize a pure honey, there are several ways to spot it. Just read How to check the purity of honey at home? Sometimes it is challenging to distinguish the difference between raw honey and regular honey. But, you should be able to get all the benefits of honey. There is no point in adding honey to our diet or use it as a medicine if it has been stripped of all the nutritional value. To be sure that you are buying raw honey it should say so on the label. At the moment there is no widespread uniform regulation for raw honey. Labels like "untreated" and "unpasteurized" might help, but they might not be indicative of truly raw honey. Label "pasteurized" definitely shows that honey is not raw. Where to get raw honey? The best you can do to ensure getting real raw honey is to get the honey directly from the local beekeeper whom you can trust. That way you can know what was used in the production of honey and how it was prepared. If you can't find the local beekeeper you can order raw honey from Amazon. GUARANTEED! Manuka Honey UMF 10+ 500g. 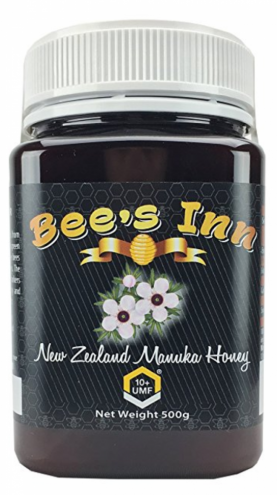 Lab-Certified UMF10+ Manuka Honey from New Zealand by a New Zealand Independent Laboratory. Each Manuka Honey batch is Independently Verified, Tested, Traceable and Licensed. AUTHENTIC BEEKEEPERS Bee’s Inn are Genuine New Zealand Beekeepers. They produce licensed UMF Manuka Honey. They are from New Zealand’s North Island just South of Hamilton, NZ. Hamilton, NZ is about a 2 hour drive South of Auckland, NZ. UMFHA LICENSED MEMBER Unique Manuka Factor Honey Association (UMFHA) License No. Bees Inn Apiaries 1040. Bee’s Inn adheres to strict standards for Manuka honey purity and quality and licensed to use the UMF quality trademark. UMFHA governs the Manuka Honey UMF rating system to protect consumers. USES UMF GRADES UMF 10+ Medium level antibacterial activity. Excellent maintaining good health. Raw honey is a superfood, and if you want to reap all the amazing benefits that honey can give you, make sure you buy raw Honey.